A very popular prophet based in Benin city Edo state has been murdered. 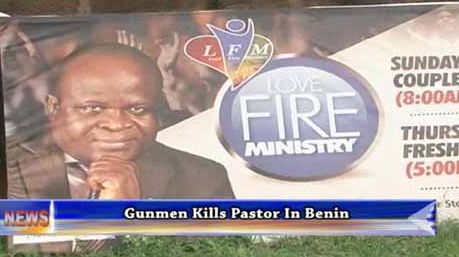 The General Overseer of a church located along Airport road in Benin, Love Fire Ministry was murdered by some suspected assassins on Sunday night. According to his spokesperson, Edema Festus, Pastor Godwin Emmanuel aka Prophet Speed was on his way to distribute foods items to some needy members of his church but on getting to Oko Central Road off Airport road, some assassins shot him at close range. Here is what Edema said about the untimely death of Prophet Speed. Prophet Speed reportedly started the church about 11 months ago and since then he has been feeding the less privileged in the society.